S. M. Shamsuzzaman Department of Microbiology, Dhaka Medical College, Dhaka. Shahin Ara Begum Department of Microbiology, Dhaka Medical College, Dhaka. 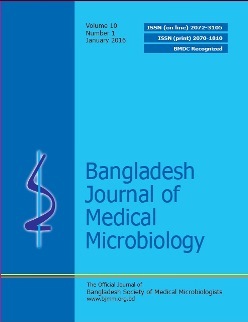 Sazzad Bin Shahid Department of Microbiology, Dhaka Medical College, Dhaka. Keywords: Background, Clinical Features, Complications, Diagnosis, Prevention, Replication, Zika virus.